The Ski Story: Thousand Words Thursday! 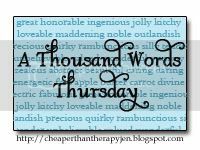 Head over to Cheaper Than Therapy to see submit your Thousand Words Thursday photo and view the photos of others. 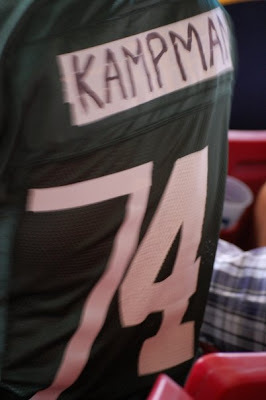 A modified Favre jersey we saw at the Packers vs. Rams game! HILARIOUS! Mr. Ski wants to make a Favre jersey with a Jets sleeve, Vikings sleeve, and Green Bay in the center. One last note: GO PACK GO! LOL...I want to see your hubs jersey when it's ready!! What a GREAT idea! He should seriously market that; I'm sure they'd fly off the shelves!